Finally - wolves! Small harmless critters. While they are difficult to interact with, and they are not very polished in mechanics, but we are working on it. Will consider! A new mechanics: a prisoner of nature. Now if you fail with hunting wild beast and get KOed, there is a chance that beast will take its toll of your items, or your character to his lair. It is a fascinating mini-dungeon with a maze that will allow you 4-6 hours to enjoy new gameplay! Try not to die in these dungeons! We also decided that the water vastness are too quiet for travels and finally added water predators. Meet new rare water creatures: whales and sharks. Be carefull! We recently talked with our old friend from Salem, the project which we abandoned, and realized that the hearthling's life should suffer even more. Suffering is our new motto. We have taken into account all your wishes, and you will suffer greatly from their implementation. Miner's cough is only the beginning of our madness. Also you will find fascinating mechanics of infectious diseases. Enjoy Bubonic plague, cholera, diarrhea and of course warm and cozy flu (just do not forget that the flu is also a deadly disease). Expect new accidental injuries, such as tetanus when digging the soil or allergies when working with crops. And many other great additions that will give you the opportunity to spend even more time on useless garbage. For miners we have a lot of individual surprises, I hope that you will like it! There are also a few spoilers: we are ready to admit that this world is lasting too long, and we are preparing the wipe within 3 months. Actually, Lolftar wants a new car, and I ... well, you know! So very soon the heartlings will be able to build a world-ending altar. We have changed its mechanics so that you will have something to do in next few months. 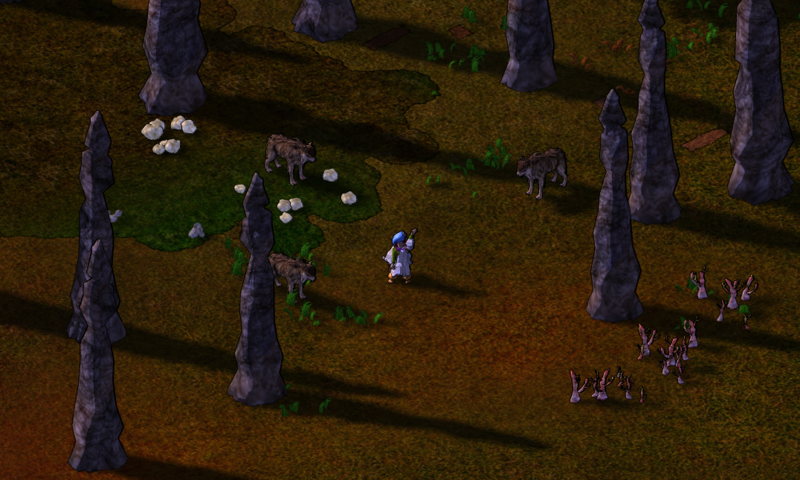 In order not to discourage the interest for the game in the remaining time, we added the ability to find a variety of unique capes by interacting with a wild animals. From now on apart from horns and hooves some animals randomly will drop capes. The mechanics of storing the capes is similar to the hats, so hurry to get 50 more accounts to store them! Appreciate our generosity. We plan to attract investors to our project, so we need good statistics on the dynamics of new users. Your Captain-Jorb! New differentiated prices for hats. Depending on state of your subscription, you will be pleasantly surprised by the prices! Store Description писал(а): $10 Fools. And clowns! Joke for everyone! A new fool hat will be added to all unsubscribed players for free. Gold subscribers will be able to purchase it for $30, silver subscribers for $20 and bronze for a modest $10. Mostly drugs left here . We spent alot a time for fun!. ‎"There is no means of avoiding the final collapse of a boom brought about by credit expansion. The alternative is only whether the crisis should come as the result of a voluntary abandonment of further credit expansion." Откуда: Here, there and everywhere. Волки! Акулы! Болезни! Джорб! Прекрас-с-сно! Э, стоп, стоп. Джорб?